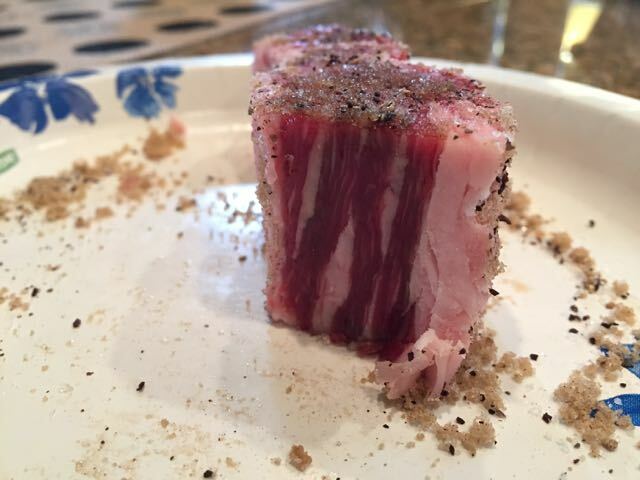 I recently was told of a cut of meat I had never tasted before. 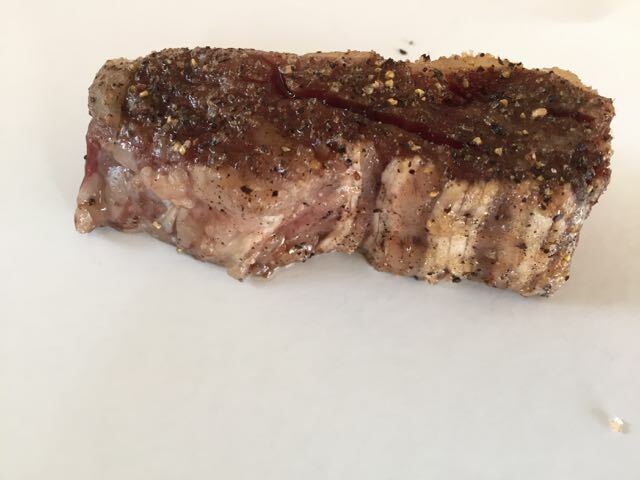 A coworker told me that all I needed to do was season with salt and pepper and grill to medium rare, I was intrigued by such confidence. 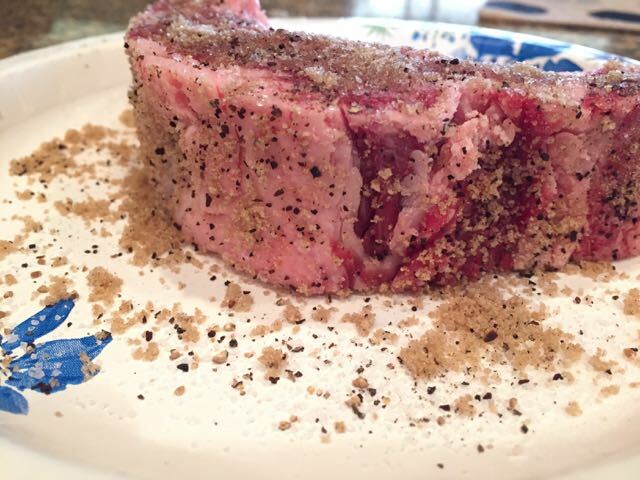 Ribeye cap I have learned, is the cut just around the eye of the rib. 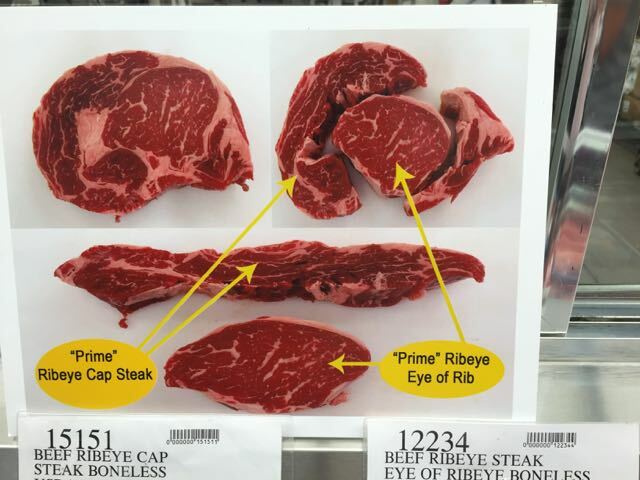 When I purchased the meat from Costco they were kind enough to offer the following illustration, as they just recently started selling the cut themselves. At almost $18/lb it certainly isn’t a cut of meat or your everyday grilling but since I was with the family I knew my dad would pick up the tab. 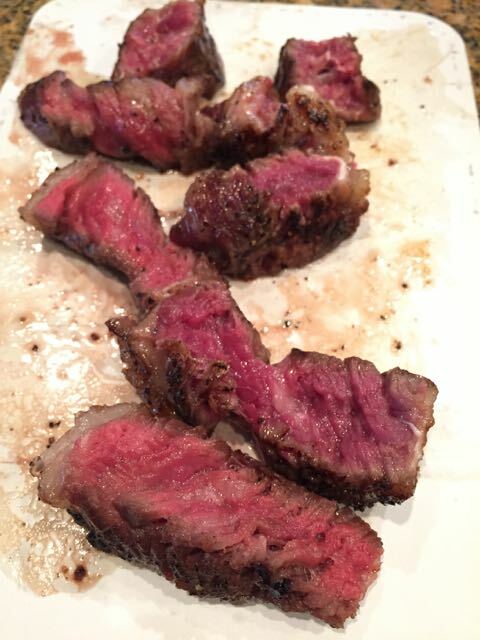 We bought a little extra and decided to do some of the pieces with a reverse sear and the rest on the grill in the normal fashion. 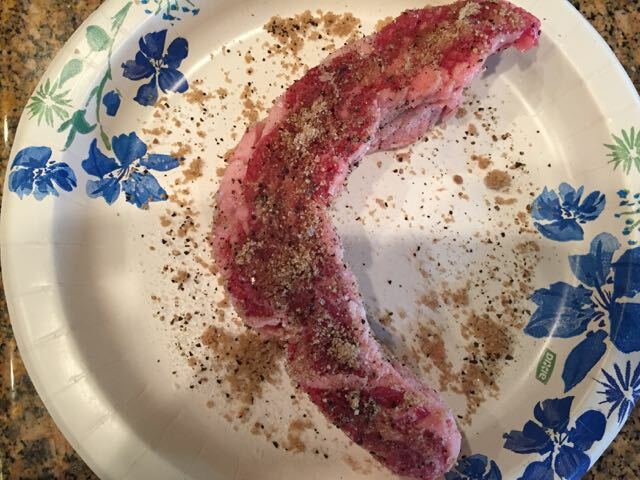 Each piece was seasoned with just basic salt and pepper and then a mixture of brown sugar and coffee was added to complete the rub. We let all the meat get to room temperature before we started cooking them which I have become a big believer in. We first took a few pieces and put them in the oven at 250 degrees until the internal temp his 120-125 degrees. It took roughly 20-25 mins to get them up to temp. We then pulled them out and let them rest, it was tempting to not eat them raw off the tray. 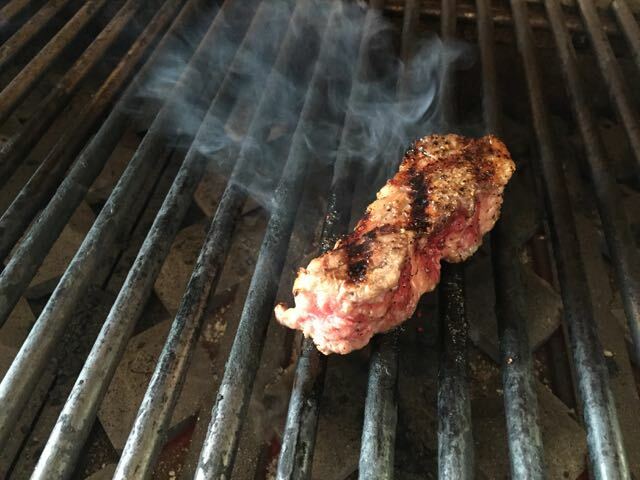 We then put the meat on the grill and seared them for a few minutes on each side. Because of the great fat content of these cuts we had a little problem with flare up on the grill and had to turn down the temperature drastically in order to reduce the open flames. In any event the pre cooked pieces took about 2 minutes per side and the uncooked took roughly 5 minutes per side but they are cooked to your owns tastes, obviously. The end result was indeed fantastic and while the pieces we kept for sampling were on the rare side that is how we wanted them. My brother and I each thought that cooking them in the oven first and then searing made the meat taste a little better but I think you can find just as many people to disagree with that statement. I haven’t quite figured out how to eliminate the placebo effect when you’re dealing with subtleties of backyard grilling for consumption by average Americans. In any event I highly recommend trying this fantastic cut of meat at your next family gathering, no one in your group will be disappointed.